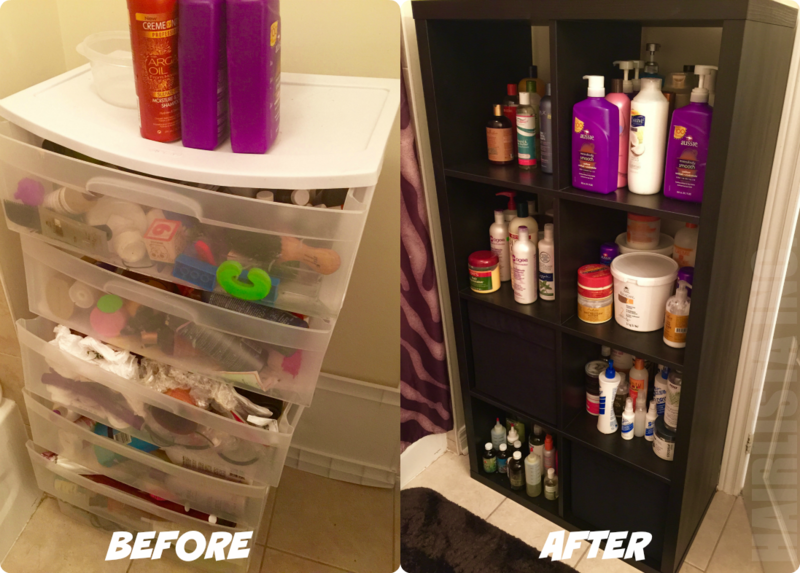 Hair Product Spring Clean Up + New Shelving Unit! - Hairlicious Inc. I really need to get around to doing this. I'm moving soon, though, so I'll probably just wait to start fresh at my new place. I love the way yours turned out! You're absolutely right! 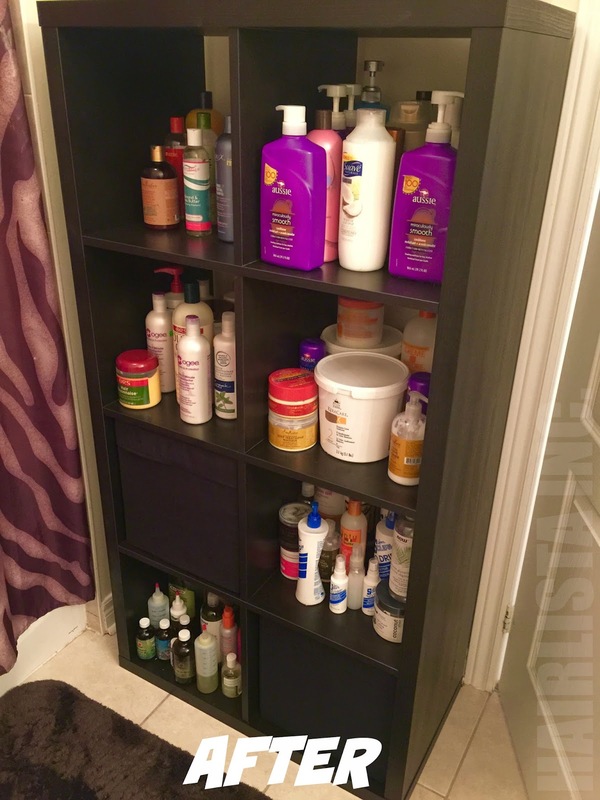 Reaching for products has never been easier!! Thanks Hun! How do you use the Aussie 3 minutes? I'm still experimenting with it. I typically use it for cowashing or mixed into my deep conditioners. Right now I'm liking it as a cowash! Looks really stylish! Is it a shelf or a shelving? Thanks! IKEA calls it a shelving unit. 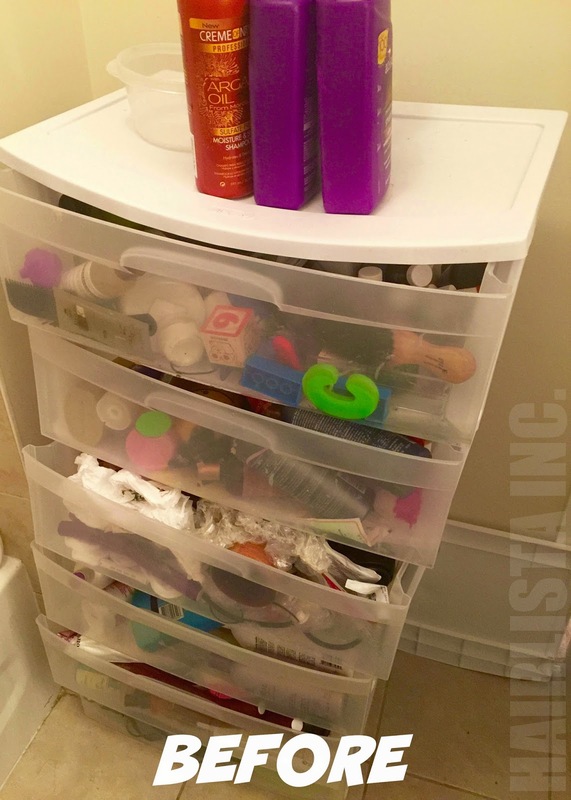 Yes I have tons of products that's why I need a good place to store them. Lol.